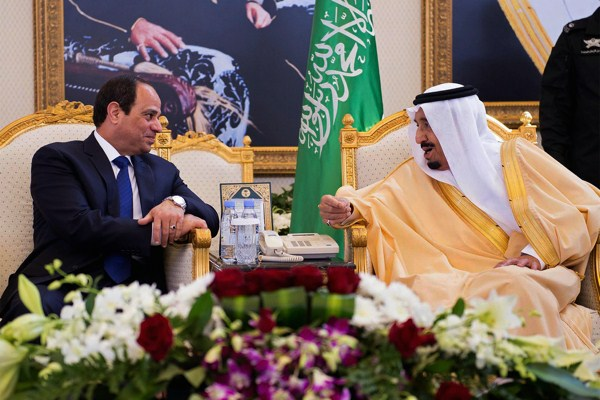 Saudi King Salman speaks with Egyptian President Abdel-Fattah el-Sisi upon his arrival at Riyadh Airbase, Riyadh, Saudi Arabia, March 1, 2015 (AP Photo/SPA). U.S. President Barack Obama’s efforts to secure an agreement with Iran over its nuclear program have exposed rifts with America’s long-standing Middle Eastern partners, including Saudi Arabia, Egypt and Israel. While these three countries share important security interests with Washington, they are by no means fully aligned with the preferred American vision for the region.